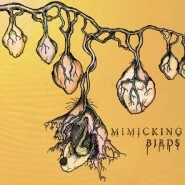 Tenth on our list is Mim­ic­k­ing Birds, debut album of the Port­land indie group of the same name. Com­bin­ing slow, plain­tive vocals with deep, poet­ic lyrics, in addi­tion to ele­gant instru­men­tals that com­ple­ment with­out over­shad­ow­ing front­man Nate Lacy’s rich vocal con­tri­bu­tions, Mim­ic­k­ing Birds is both an excel­lent intro­duc­tion to the band and a wor­thy con­tri­bu­tion to the more acoustic end of indie music. More than that, how­ev­er, it’s an almost inces­sant­ly cre­ative com­bi­na­tion of music, clear­ly demon­strat­ing the musi­cal exper­tise of Lacy and his fel­low musi­cians - and one that entire­ly deserves a posi­tion on this list. Black Moun­tain all but ful­ly rede­fined its sound with Wilder­ness Heart, and did so quite suc­cess­ful­ly. The band’s last album, 2008’s In the Future, was a mix of psych and prog-rock (as it is cur­rent­ly defined), that remained inter­est­ing and engag­ing for the lengthy span of the entire first track. In con­trast, Wilder­ness Heart is much more suc­cess­ful as both a prog-rock album and as a series of var­ied and inter­est­ing tracks. The vocal­ists have packed much more emo­tion and strength into any giv­en one of the album’s tracks, includ­ing the mar­gin­al­ly less-suc­cess­ful ones, and the end result is a very dif­fer­ent, but absolute­ly suc­cess­ful album. 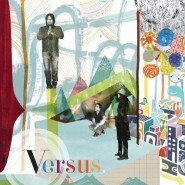 Found­ed in 1990, Ver­sus act­ed as one of the pio­neer­ing bands of mod­ern indie-rock before its breakup in 2001. The band reformed and start­ed record­ing again in 2009, releas­ing On the Ones and Threes this August. The album fea­tures heavy elec­tric gui­tar instru­men­tals, but the per­sis­tent vio­lin accom­pa­ni­ment by Mar­garet White gives a dis­tinc­tive qual­i­ty to the sound. While not always lyri­cal­ly inter­est­ing, the vocals of On the Ones and Threes are well-ren­dered, and the cre­ative ener­gy of tracks like “Cica­da” firm­ly cements its place on our list. It’s some­what dif­fi­cult to make sense of False Priest, espe­cial­ly if not already com­fort­able with of Mon­tre­al (this is cer­tain­ly not an intro­duc­to­ry album), but when it is final­ly sort­ed out, False Priest is absolute­ly amaz­ing. While quite pos­si­bly of Montreal’s least acces­si­ble album, False Priest is worth it for the peo­ple who can first endure it. 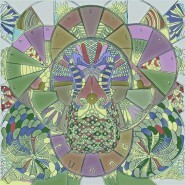 Diver­si­ty-wise, the album is of Montreal’s best album. It has ele­ments from all of their pre­vi­ous styles, as well as new - or at least pre­vi­ous­ly under­de­vel­oped - mate­r­i­al, most notably the spo­ken word sec­tions. The album is also fair­ly large, as of Mon­tre­al tends to be, but more impor­tant­ly, it is jus­ti­fi­ably so. 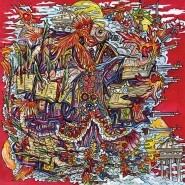 Even though this album is not of Montreal’s best, nor this year’s best, it is a won­der­ful album. 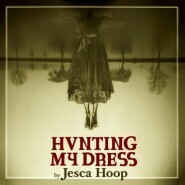 Sixth on our list is Cal­i­forn­ian song­smith Jesca Hoop’s sec­ond album, Hunt­ing My Dress, which, though it was ini­tial­ly released in 2009 in the UK, nar­row­ly qual­i­fied thanks to a July release in the US. We’ve got to say that we’re cer­tain­ly glad it did, as it gives us an oppor­tu­ni­ty to cel­e­brate the ardent cre­ativ­i­ty the album dis­plays. Ener­gy is con­stant­ly sup­plied to the music from a mul­ti­tude of sources, whether from the rich pres­ence of Hoop’s voice, the con­tri­bu­tion of intri­cate per­cus­sion, or the care­ful­ly drawn sto­ries of Hunt­ing My Dress’s tracks. Above all, Hunt­ing My Dress is the sort of album that forges its own style and runs with it - and that suc­ceeds in doing so. Eri­ca Quit­zow released her third album from solo project Quit­zow, Juice Water, this past June, and its sheer elec­tri­fied ener­gy cements its place in this year’s Top 10. Tak­ing its instru­men­ta­tion and many of its beats from the elec­tron­ic dance genre, Quitzow’s imag­i­na­tive vocals cat­a­pult Juice Water into a more com­plex plane. An amaz­ing vari­ety of instru­ments and effects behind lay­ers of vocals char­ac­ter­ize its sound, which tran­si­tions expert­ly from heav­i­ly lay­ered vocals to sim­ple elec­tron­ic melody lines. The vari­ety of sounds with­in even the same track works well the major­i­ty of the time, though at times over­ly ran­dom click­ing effects and repet­i­tive sec­tions (notably “The Cut”) pre­vent it from achiev­ing a high­er spot on the list. 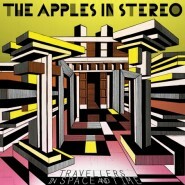 Num­ber 4 on our list is Trav­ellers in Space and Time by The Apples in Stereo, an Athens, Geor­gia-based band heav­i­ly influ­enced by 1960s-era psy­che­del­ic-rock such as The Beach Boys. Trav­ellers is a col­lec­tion of won­der­ful­ly ener­getic tracks, each of which seems to have a dif­fer­ent tone - from the elec­tric blips and line-noise-esque squeals of “CPU” to the rhyth­mic gui­tars of “Dig­ni­fied Dig­ni­tary.” Lead singer Robert Schneider’s high-pitched vocals take cen­ter stage, how­ev­er, with lyrics that are nei­ther pro­found nor vac­u­ous, and a vocal style that blends per­fect­ly with the rest of the sound to cre­ate some of the most dis­tinc­tive tracks of any album this year. Toron­to singer-song­writer Owen Pallett’s third solo album Heart­land takes third place on our list with a col­lec­tion of com­plete­ly unique sounds. Pallett’s ear­ly musi­cal train­ing was in clas­si­cal vio­lin, and he puts those skills to great use on Heart­land. Pal­lett mix­es skill­ful vocals with a vari­ety of instru­men­ta­tions to cre­ate a thor­ough­ly orig­i­nal album. The per­cus­sion, while typ­i­cal­ly not intru­sive, lends a huge amount of ener­gy to the album, and the orches­tral­ly-influ­enced melod­ic themes on tracks like “Flare Gun” thor­ough­ly dis­tin­guish this album from any oth­er this year. 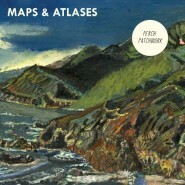 Sec­ond only to one is Maps & Atlases’s Perch Patch­work. Beau­ti­ful and impas­sioned from start to fin­ish, the album invites plea­sure and emo­tion, and receives both. Com­posed entire­ly of good, great, and excep­tion­al tracks, there is very lit­tle, if any­thing, that could be improved upon, and noth­ing that needs or invites improve­ment. The tones present are extreme­ly well devel­oped, and the pur­pose­ful­ly imper­fect and excel­lent­ly craft­ed vocals work amaz­ing­ly with the instru­men­tals. The com­bi­na­tion is sim­ply incred­i­ble, nei­ther over­wrought nor under­de­vel­oped. 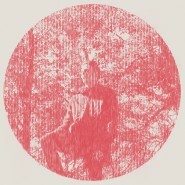 Final­ly we have the album which we’ve cho­sen as the best of 2010. Lon­don exper­i­men­tal group Tun­ng, found­ed in 2003 by front­man Sam Gen­ders, released its fourth LP, …And Then We Saw Land in March. That album is, in every sense of the word, a work of art. Over forty-five min­utes, Tun­ng runs the entire musi­cal gamut, from deeply exper­i­men­tal psych-tinged “Don’t Look Down or Back” to the more tra­di­tion­al­ly folk but impres­sive­ly weighty “With Whiskey.” Every minute of …And Then We Saw Land is a plea­sure, whether it’s thanks to care­ful­ly exe­cut­ed vocal har­monies or intense­ly nuanced mul­ti-lay­ered instru­men­tals. With all of that com­bined, it would have been impos­si­ble to ignore Tunng’s suc­cess. 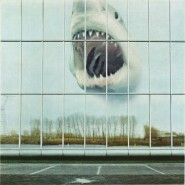 …And Then We Saw Land is, there­fore, our num­ber one album of the year - and it is in every way deserv­ing of that award. Plumb­if­er­ous Media has now been around for two years, and we’d like to thank every­one who’s fol­lowed along, as well as every­one who’s just found us - we hope you’ll all keep read­ing as we keep review­ing into the next year. We’ll be tak­ing our usu­al week-long break, but look for our next review on the 9th of Jan­u­ary!